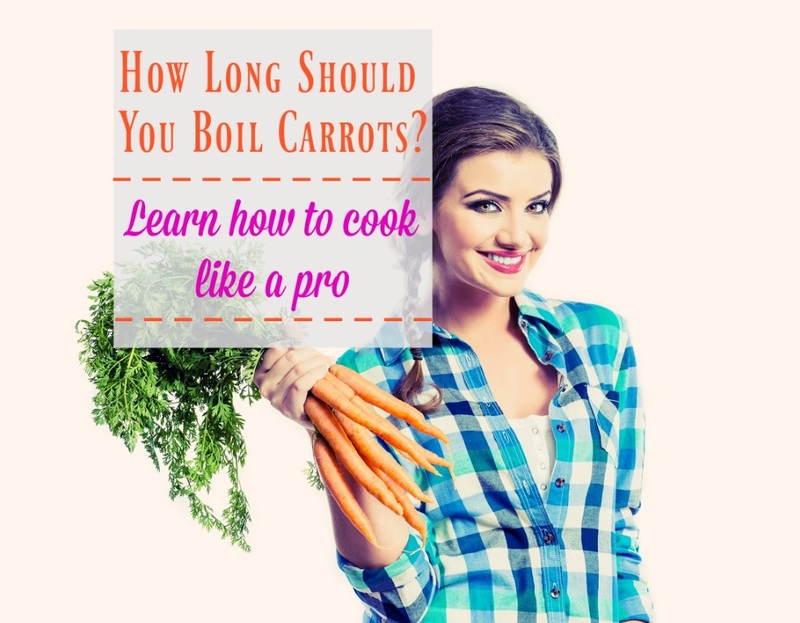 Home » Blog » How Long Should You Boil Carrots? Despite being one of the most widely eaten vegetables in the whole world, surprisingly few people know how to properly cook carrots. Just tossing a handful of chopped up pieces into a pot of water and boiling until “whenever” just won’t cut it if you want a delicious and nutritious vegetable to eat with your meals. To remedy this situation, we’re going to cover exactly how to properly boil carrots, as well as how long you should boil them for with a breakdown of nutrition facts and the various benefits from all the different nutrients carrots contain. According to the estimates provided by the United States Department of Agriculture, 100 grams worth of raw carrots contains approximately 88.29 grams of water, 0.93 grams of protein, 0.24 grams of fat, 2.8 grams of fiber, and 9.58 grams of carbohydrates with 4.74 grams of those being from sugar, supplying a total of 41 kilocalories worth of energy. These carrots are also high in calcium, sodium, phosphorus, potassium, and magnesium, with small amounts of iron and zinc, as well. Finally, raw carrots have a high content of vitamin A, vitamin K, vitamin C, and folate. These figures, however, come from raw carrots as specified previously. For the same amount of boiled carrots (without salt), the USDA estimates a total of 90.17 grams of water, 0.76 grams of protein, 0.18 grams of fat, 3 grams of fiber, and 8.22 grams of carbohydrates of which 3.45 grams is sugar. In total, this supplies 35 kilocalories worth of energy. Like with most foods, boiling carrots reduces the amounts of different nutrients to be found in them and increases water content. Just as with the previously stated components, the levels of vitamins and minerals also decreased somewhat between raw and boiled carrots. This means that, if your main concern with your food is nutrition, eating carrots raw is probably the best thing for you. If, however, taste is more of a factor, cooking them would be the way to go. Raw or cooked, carrots are highly nutritious foods that offer several benefits to those who eat them. 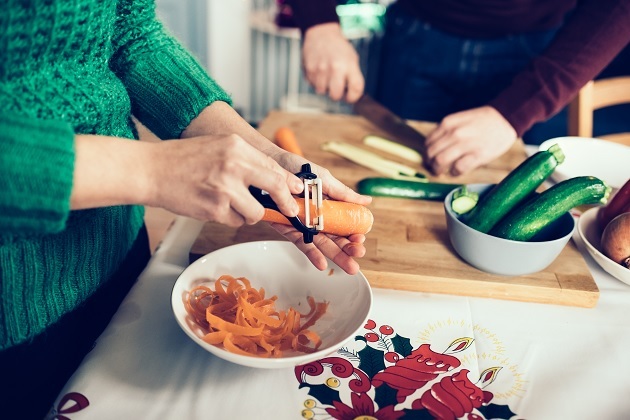 While a complete list of benefits carrots can have on a person’s overall health would be quite lengthy, there are some major ones worth noting. Lower cholesterol levels can improve health, most notably by decreasing a person’s risk for heart disease and heart attacks. As many have likely heard before, carrots can help to improve night vision and general eyesight. This is due to high levels of vitamin A found within carrots, which is well documented for its benefits on vision. These same studies found that, among various stroke patients, those with higher levels of beta carotene in their diets were more likely to survive. Diabetics often eat carrots due to their beneficial affects on insulin production. These benefits alone make them one of the best foods for someone with diabetes to eat. Being high in calcium, carrots can also benefit in the creation and maintenance of bones, and is a vital electrolyte needed for the production of red blood cells and various other functions around the body. High fiber levels, as well, can aid in digestion. Fiber provides extra material to help your body pass things more easily, alleviating ailments like constipation. When it comes to boiling carrots, it's important to follow several key steps along the way from prep to the finished product. If you want to learn how to boil carrots in a way that retains their flavor and nutritional value, make sure to do each one. Before your food even touches the stove top, you'll have to prepare it for cooking. With carrots, this will mean a thorough washing and peeling prior to anything else. Once you've done that, go ahead and cut off the top each carrot you're using as well as the very end, as these parts generally taste worse than the rest of the vegetable. Any food cooks more evenly if it's cut into uniform pieces, and carrots are no exception to this rule. In order to help your carrots along while they boil, cut them into 1/4 inch pieces (either in rounds or on a bias to make diagonal pieces) or into similarly sized strips. If you're using baby carrots, however, you won't need to cut them at all as they're already sized fairly well for cooking as is. Simple as it sounds, it's surprisingly easy to mess up boiling water. Not simply because you keep looking at it to keep it from boiling, but not adding anything to the water prior to cooking with it. First and foremost, this means salt. Just like with pasta, vegetables should always be boiled in heavily salted water. Neglecting this step leaves them tasting bland, which is something you should avoid at all costs. Salt also helps to bring out the natural flavors of the carrot, though too much will only serve to overpower it. With this in mind, add about 2 to 2 and a half teaspoons of salt to every liter of water you're boiling with for best results, though you can adjust based on personal preference. Which kind of salt you use isn't too important, though finely ground sea salt is a good option and preferred by many chefs. If you wish, you could also flavor the water with other seasonings at this step, as well, such as sugar for an extra bit of sweetness or spices like cayenne pepper for some extra heat. As with the salt, though, use any other seasonings sparingly. The goal is always to enhance and compliment the flavor of your food rather than overpower it. Once you've properly seasoned your water, you can add your carrots to the pot, cover, and let them boil. Just like with pasta, overcooking your carrots will lead to mushy, unappetizing slop. To get the perfect "al dente" carrots, you'll want to cook them for as little time as possible. The perfectly cooked carrot texture is soft but with a small crunch. To achieve this through boiling, you'll need to adjust the cooking times depending on how you've cut your carrots. For the fourth inch pieces, shoot for around 6 to 7 minutes, while strips will only need 3 to 4. Make sure to try a piece before committing to draining the pot, though, as you may need to cook them slightly longer to achieve the right level of doneness for your preference. Cook carrots for an additional minute if they don't taste done enough, repeating as necessary until you're satisfied. And now you know how to boil carrots like a pro. Though often dismissed due to disastrous results during one’s childhood, boiling carrots can create end results just as delicious as other methods like roasting or sauteing. While not for everyone, it’s worth a try once you know how to do it properly. Wash and peel your carrots thoroughly. Cut them into manageable sizes to help them cook better. Liberally season your water with salt and other spices you might enjoy. Cook the carrots for only a few minutes, being sure to taste for doneness frequently.